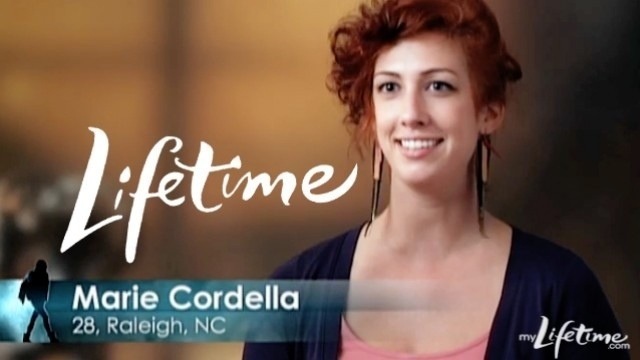 WHO IS MARIE CORDELLA THE PERSON? For more information on my PRESS and Television appearances visit the PRESS / LIMELIGHT page! Lifetime Television Network: Episode 10, The 2024 Woman. One of four national designers selected to compete in a twenty-four hour televised fashion competition series. Each episode features four new designers who compete for that one show (similar to concept of Iron Chef.) Featured on finale episode of premiering season. Fashion expert on the ‘Chick Chat’ portion of NBC’s new program. Discussed the fashion / happenings / environment of 2012 New York Fashion Week – and the upcoming trends of Spring 2013! Marie has been documented in numerous documentaries, videos, lectures and other publications (including Annual Reports) as an “influential force” at NCSU’s College of Design. She speaks, juries, judges and critiques frequently at the University. One of sixteen East Coast designers chosen to showcase in Charleston Fashion Week’s noted ‘Emerging Designer East Competition.’ Designed and created twelve high-style dresses to exhibit in front of a jury of industry leaders. Head-lined show. On-location: Pulled clothing and styled all mannequins, visual displays and merchandise oriented visuals for men’s, children’s and cosmetics departments. Designed, produced and/or selected store visual cues including: floor and window lighting, concept furniture, etc.. Organizing and producing stylish greenrooms for events and guest appearances. Working with department managers to create compelling and sales-appropriate merchandising. Off-location: documenting work for weekly/monthly styling calls with lead design group. Communicating with counterparts to share techniques and create in-store branding unity. Working with teams from around the country to re-model older stores and set-up new stores. Two part residency featuring noted designers who are influential in the Southeast. Lectured on my personal history as a designer and the general history of fashion and trending. Discussed creative inspiration and trust in intuition. Planned and led a day-long workshop with the Master’s Fiber Arts students. Covered the basics of sewing and utilization of basic means to create high-end products. Awarded six-month residency at Artspace, in Downtown Raleigh. Spent six months creating a collection of sculptural and high-style gowns in the free, publicly visible studio I was provided with. Created in an open-door studio daily, talked at a selections of colleges, universities and elementary level schools. Hosted and led workshops on sewing, textiles and aesthetics. College of Design, Digital Imaging and Creative Strategies, ID 215. Taught basic understanding of tools and program usage in Photoshop, Illustrator, Macromedia Flash and Dreamweaver. Expanded learning of digital illustration with use of tablet and Syntique. Familiarized students with aesthetics and design engineering in product architecture. College of Design, ID Ideation 315 & ID Studio 500. Developed curriculum and lesson plans, assigned projects and homework, critiqued student work, helped students develop appropriate skills and vocabulary for layout design. Introduced digital illustration techniques. Guest lecturer in graduate and undergraduate courses on topics including: graphic design, creative flow, intuition in design, information mapping and hierarchy.